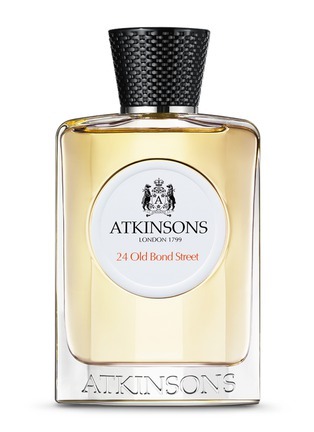 Brought about by strong personality, Atkinsons' 24 Old Bond Street Cologne is the house's emblematic fragrance deepened with smokey oak casked whisky. Warmly welcoming, this scent captures the classic British flair of its birth location, assertive and wonderfully English with juniper, rose and black tea. Receive a complimentary 24 Old Bond Street Soap in a gift box upon any purchase of Atkinsons fragrances.